July is Such a Wonderful Month! I love July. It is my anniversary to my wonderful husband, my birthday and the Plein Air Painters show, and I still have one of my grandsons visiting. Beautiful weather painting outside…life is good.! 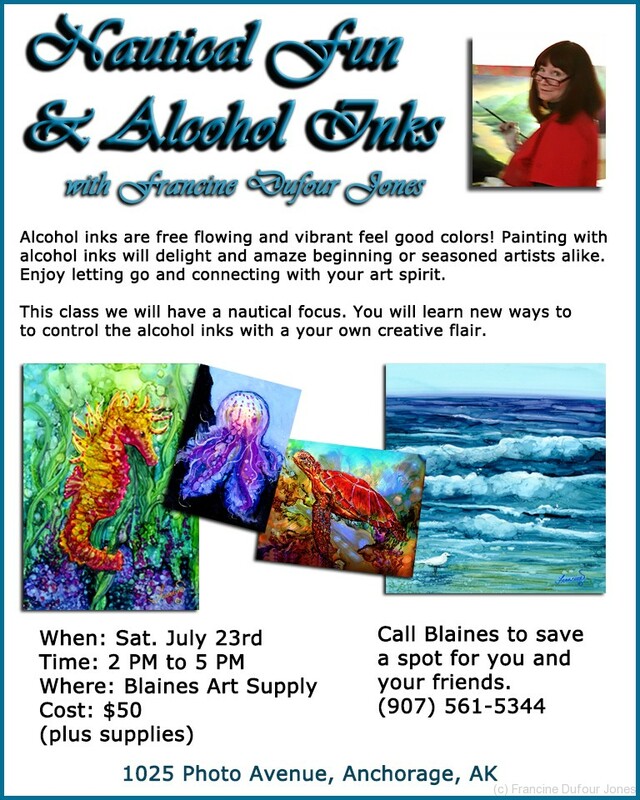 The next alcohol ink class is a very popular one focusing on water, seascapes and sea life.